It’s been a while since I’ve written a Goofy Monday post and it’s more because I haven’t found the time than because of a lack of materials. Yep, never a dull moment at our house… Today I decided I would share a few funny things that my kids have said revolving around the human body. I can’t argue with that perfect logic. Again, I can’t argue with that perfect logic. 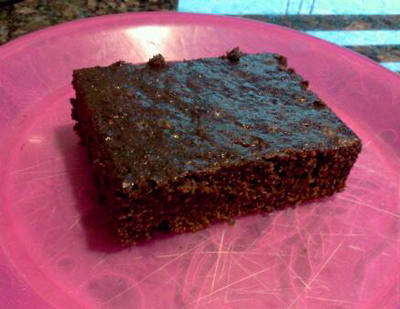 I think my kids have figured out what it takes to gain and lose weight the easy way. I have nothing to say in my defense. The kid knows I have to find a bathroom everywhere we go. I can’t blame my son for being confused about Steven Tyler. He drew his conclusion from watching this interview for the very funny animated movie Epic. I think my son is right. Man or woman, Tyler is quite an eyesore in this video. I’m not sure if the bright pink lipstick is supposed to help. With a few months left to complete my 101 tasks in 1001 days challenge, I’m overdue for an update since the last one I posted was in January 2013. I actually got a lot done so far this year, but I realize some areas in my career and my finances still need attention. I’ve had to deal with a lot of unexpected distractions this year that threw me off focus, and I’m getting back into the groove just now. If I don’t get all of my 101 tasks done by the end of the year, I’ll put a new list together of specific items I want accomplished in 2014. When I see how much I’ve accomplished with this challenge, I’m excited to start something similar again when it’s over. Such a list really helps keeping me accountable. Alright, so I’m glad I used the word “grow” for these three challenges, and not “eat”. 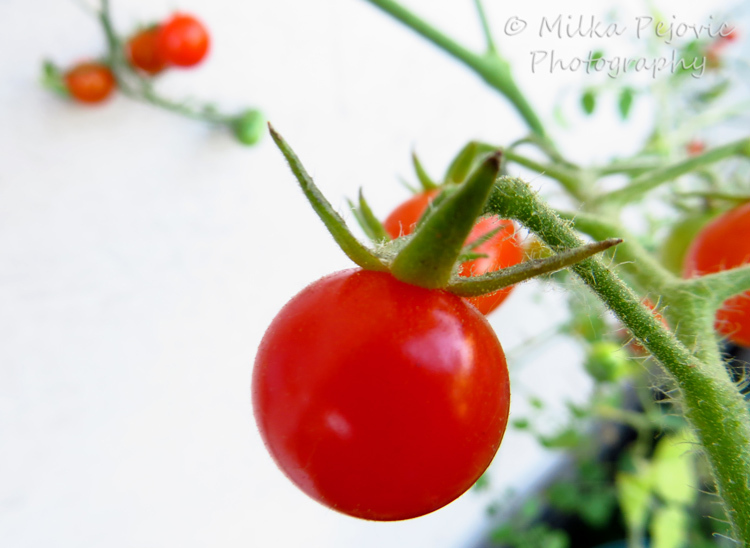 I harvested very little this spring and summer because the many critters (bugs, lizards and squirrels) got to them first. I have tried so many things to secure my garden and still, nothing has worked. So if I’m going to waste water to grow things I won’t eat, I may as well grow flowers! This will be my new focus next year and I’ll ask the boys to help me pick something new every season. I bet we’ll enjoy bringing colorful flowers inside the house. Oh, and I’ll make sure the flowers I grow taste terrible. Believe it or not, I’ve seen the squirrels eat my roses before! A few months ago, our HOA requested that I repaint all the wooden parts and a few other things on the outside of the house. I couldn’t argue much because they needed some repair and a fresh coat of paint. I took this opportunity to repaint the inside of the house too, since most of the paint was 15 years old and showing its age. Much of the old paint wasn’t washable so I could get the many stains off the walls. The dark and depressing blue paint covering the dining room and kitchen walls is now a light green. At the same time, I had the many holes in the walls and the damaged baseboards replaced, and I got the bathroom vanities painted too, since the fake varnish was very worn off. A much needed improvement! I’ve done a good job snapping new photos on a weekly basis, editing them and posting them on my nature photography website. I haven’t done so well posting on Pinterest but I think once a week would be OK. As for adding products to my online store, I haven’t done well at all so I need to dedicate more time to do that. 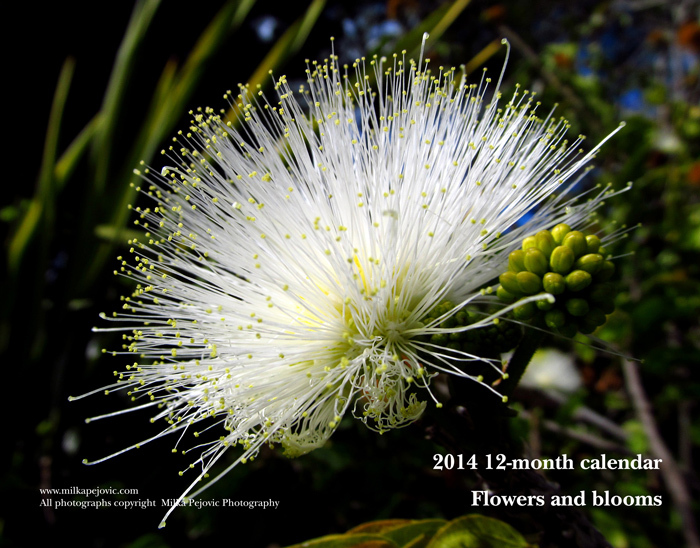 I’m in urgent need of creating a 2014 photo calendar, so that will be a good way to start! We took two one-week vacations in two years. Not as much as I would have liked, but better than nothing. We’re fortunate enough to live in San Diego, where there’s so much to do as a family, even staycations are fun. My kids are not great swimmers yet but they’re definitely on their way. I think they made great improvements this summer and we’ll continue to take swim lessons next summer. I realized that some days, this was an easy exercise, and others, I had to take a step back to uncover the good and ignore the bad. I don’t do this exercise in written form anymore but I often reflect on my day as I go to bed at night. 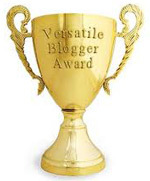 I’ve also made an extra effort to thank people for their help or good deeds. It really goes a long way. This has been an eye opening activity, especially as I’ve tried to get my kids involved. I am shocked to see so many people blatantly ignore the world around them, walking around with their blinders on and not caring a bit about others. I find it very disturbing, especially in a country that constantly claims how Christian it is… So I’ve returned lost items, picked up trash, let people go in front of me in traffic, given money to a friend in need, donated books, toys and supplies to my kids’ classes, held many doors, and given marketing advice a few times. Paying it forward is a great way to live. I volunteered in my oldest son’s classroom all last year and I’m waiting for his new teacher to tell me when she needs me. I’m also volunteering in his brother’s class this year. Helping out a couple of hours a week goes a long way. I really wanted to try this but I just can’t find the time for it at night. I could read in the bath but my bed is so much more comfortable, I’d rather read there. I think I’m going to trade this for meditation until the rest of the challenge, since finding time to meditate has been a challenge for me. I think I can do this, as long as I don’t tell my kids the day I’m doing it! I think I’ll change this from a whole week to a whole day and give myself a few days to accomplish this. I SO want to do this before the end of the challenge. but it’s hard because I spend part of my Saturday working on my freelance projects, when I don’t have the kids with me. I think I’m going to change it to “spend a whole Sunday” and try it for 2 or 3 of them. Could you do this? If you have a personal list of projects for this year, how well are you doing? Today I’m participating in the WordPress weekly photo challenge and this week’s theme is “inside”. I wasn’t sure I would participate when I first saw the theme on Friday morning but after what happened to us on Friday afternoon, I figured I had a good opportunity to feature something a little different. I’m not a superstitious person and Friday the 13th doesn’t bother me, especially since nothing significantly bad usually happens on those days. Well, that was until Friday, September 13, 2013, when I drove to the store with my kids in the back of the car. As I was patiently waiting at a red light, I suddenly heard a very loud bang and my whole body jumped, and the car with it. It took me a couple of seconds to realize what had happened. A car had just crashed into mine. I didn’t hit anyone in front of me because I was the first one in line, but my car was pushed into the sidewalk crossing area. Fortunately, it never got to the intersecting street, which is the busiest street in town. I quickly looked back at my kids and asked if they were OK. They had no idea what had just happened and didn’t seem to have suffered any injuries. I got out of my car if check the damage and I saw another car into my own, sitting sideways between two lanes, with a very apologetic driver. I have no idea what he did to make this happen (besides not stop) but I’m glad everyone is OK. Well, except for my car, which is a mess. 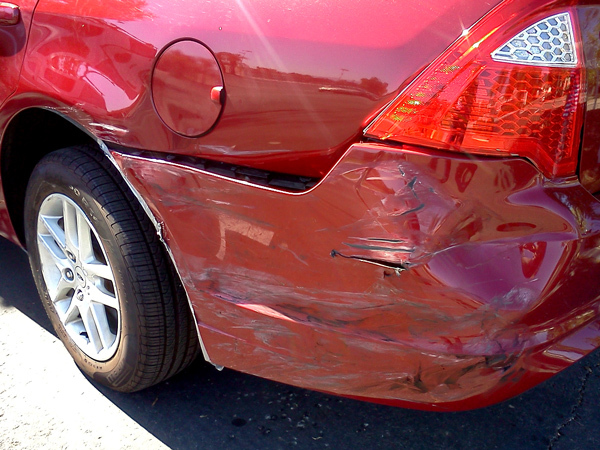 Know that the worst day to be in an accident is a Friday afternoon because nothing happens over the weekend, especially when you have to deal with someone else’s insurance company. So this week I’ll be spending my time figuring out when I can have someone evaluate the damage, taking my car to the repair shop and getting a rental car until it’s fixed. Never a dull moment. This is what the outside of my car looks like, after I duct taped the bumper back in place. If you think it doesn’t look bad, take a good look at the back wheel and you’ll realize it’s crooked as the other car hit the whole left rear. The wheel and the tire are damaged, the suspension is broken, the back panel is all bent. The backlight is broken, the trunk is crooked, and everything under the bumper is dented. The bumper itself is the least of my worries. I just hope the frame of the car is OK.
And this is what the inside of my car looks like. Perfectly safe. Thank you to the Ford Motor Company for making safe cars. I love my Ford Fusion and the car not even being three years old, this breaks my heart. 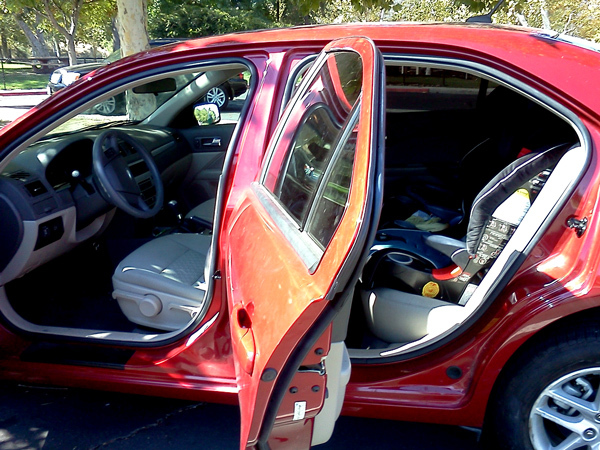 And thank you to Britax for making some of the safest child restraint seats. Today I’m participating in the WordPress weekly photo challenge and this week’s theme is “an unusual POV (point of view)”. Here’s what a trip to the San Diego zoo looks like from my kids’ perspective. 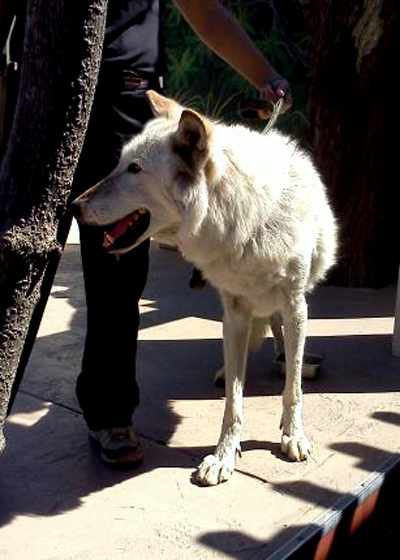 First we had a chance to see a 14-year old Timber wolf. It felt great to be so close to such an amazing animal. 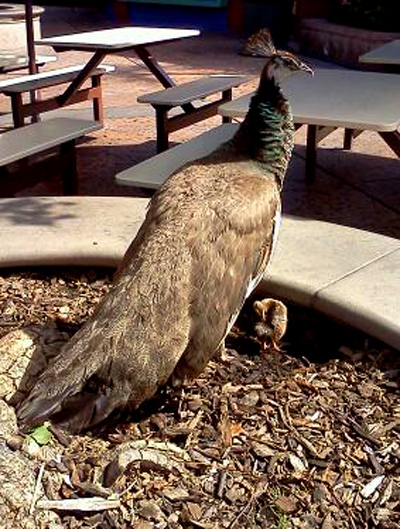 Then we stumbled upon this mama peacock who was walking around the zoo with her little baby peacocks. A first experience for all of us. 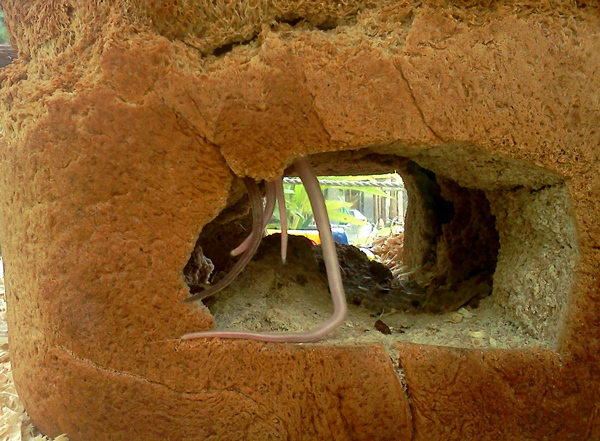 At the children’s zoo, we saw the results of baking a bread house with the mice inside. :-) We tried really hard to see the rest of their bodies but they wouldn’t budge. I guess it was comfortable in there. Finally we stopped by the panda exhibit. While baby panda was sleeping high up in the trees, his mom was pigging out on bamboo – one bamboo shot in each paw, alternating her munching from one to the other. 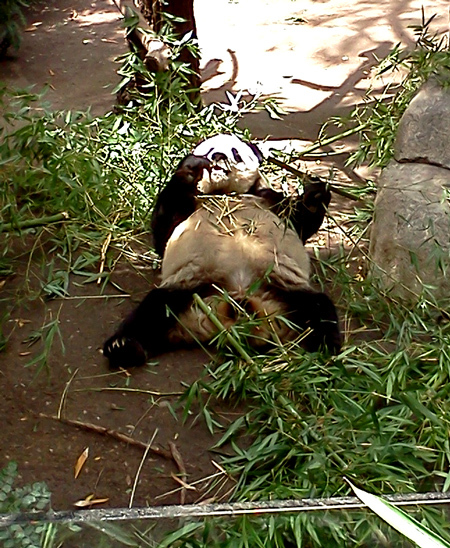 You can see pandas have a hard life at the San Diego zoo. That’s it for our little trip from last week!